Nearly all of the respondents in a British survey said they had used complementary or alternative therapies on their horses. Four out of every five horse owners who completed the survey said they would be willing to try new complementary therapies for musculoskeletal injuries without first consulting their vet. 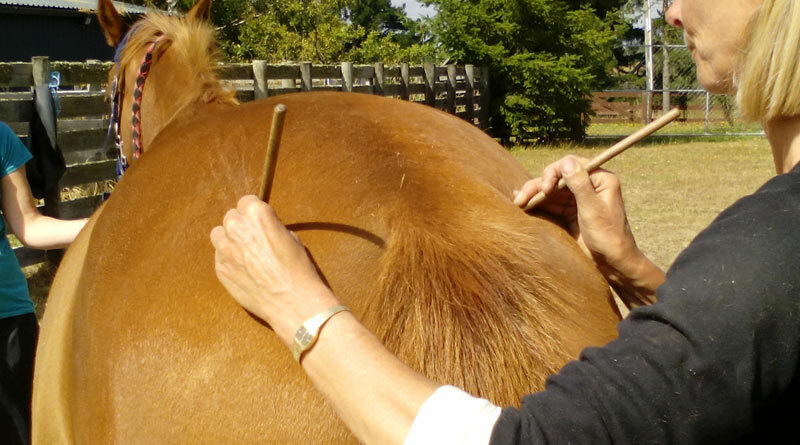 A total of 423 horse owners fully completed the 14-question online survey, with 96 percent of them acknowledging that they had used such therapies. The most popular was massage (71%), followed by chiropractic manipulation (59%) and magnetic therapy (54%). Researchers Jack Thirkell and Rebecca Hyland, writing in the Journal of Equine Veterinary Science, said studies had pointed to the growing popularity of complementary and alternative veterinary medicine, as horse owners explored options to reduce recovery times and decrease the risk of re-injury. Complementary and alternative veterinary medicine is a term that describes treatments not currently considered within traditional medicine. They are generally used as an alternative, or to complement, veterinary medicine. Thirkell and Hyland said some of these treatments are considered controversial within the horse industry, given the lack of scientific investigation into their effectiveness and the extent of their use. Some had been more thoroughly evaluated in human medicine, they noted. Indeed, the growth in the popularity of such therapies had likely resulted from encouraging results from studies of equivalent therapies used on people. Half of all respondents reported that they were “very satisfied” with their veterinarian and 74% felt their veterinarian was receptive towards their suggestions over the treatment of their horse. Despite this, 81% would try new therapies without consulting their vet. This, they said, had the potential to harm the client-vet relationship, should the decision to use such therapies conflict with veterinary advice. That said, use of such therapies could also be viewed as progressive, with owners seeing opportunities to improve equine recovery, using therapies shown in studies to be beneficial to humans. The study found that 85% of owners had encountered recent musculoskeletal injuries in their horse. Just over half reported needing their vet more frequently than every six months. Thirkell and Hyland, discussing their findings, said other studies had pointed to a growing knowledge among vets of such alternative therapies. Indeed, the authors of one study suggested that the knowledge of vets about such therapies did not justify their exclusion from any decision-making. “Encouragingly, 74% of respondents felt their veterinarians were ‘receptive’ or ‘very receptive’ to suggestions they made regarding treatment of their horse. “While more owners could involve their veterinarian in decisions regarding the use of complementary and alternative veterinary medicine, this is likely to change over time,” they said. Their ongoing use should encourage greater research into such treatments and standardize the way in which they are used, they said. The pair said it was possible that vets might encounter an ethical conflict, in that evidence in some cases for the effectiveness of certain therapies was largely anecdotal. The authors said more research was needed to assess the effectiveness of alternative therapies and treatments in horses. Thirkell and Hyland are with East Sussex-based Applied Microcurrent Technology Ltd, which designs and distributes microcurrent therapy devices. The company had no direct financial interest in the outcome of the investigation.